Using your ATM or Debit Card is one of the easiest ways to get cash and make purchases. Below you will find some safety tips to make using your card safe as well as easy. Never insert your card or enter your PIN in any terminal that does not look genuine, has been modified, has a suspicious device, or is operating in a suspicious manner. At a drive-up facility, keep your doors locked and all passenger windows closed. Remove your cash, receipt, and card after every transaction. If you make a withdrawal, pocket the cash immediately. Have your card ready when you approach an ATM. Seal checks or cash in an envelope. It's also smart to endorse checks with the restriction "For Deposit Only"
Block others' view. Always stand between the terminal and any person who is waiting. Put your hand over the keypad as you enter your PIN to block the view of any cameras that may have been attached to the ATM. Report lost or stolen cards immediately. 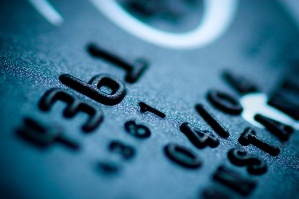 You can greatly reduce fraudulent transactions by reporting them quickly. Call 712-336-2455 or 800-383-8000 to report your card as lost of stolen. Don't fall prey to "phishing". Never respond to an e-mail requesting you to provide card, PIN, or personal information via the internet.